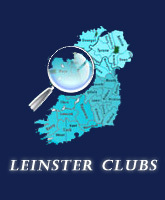 The full Leinster Girls1st Year development programme will consist of 2 assessment sessions, 4 development sessions and an end of season blitz. All players are invited to attend two assessment sessions, after which players results will be collaborated and based on the results achieved players may be invited back to development sessions which will take place in May. If selected to progress they will have 4 development sessions followed by a end of season Blitz. The date for the blitz is to be confirmed. The assessment sessions took place on the weekendsd of 21st/22nd April and 28th/29th April in Loreto Bray. The Development Sessions will take place on : TBC (times &venues will be communicated to players/parents). The blitz will take place on 2nd June. The Leinster development programme is a self funded programme and therefore we ask for a payment from parents/guardians for the programme. The fee for the development sessions is €45. 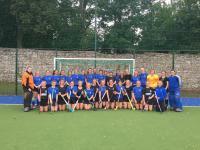 The payment can be made online through the Leinster Hockey website. A further payment will be required should your daughter progress to the development sessions.